IN Canberra today leaders in suicide and mental health, led by consultancy ConNetica and the Brain and Mind Centre University of Sydney, released details on suicide across 28 Federal electorates. Supporting the release were four parents with lived experience of suicide and the National Congress for Australia's First People. 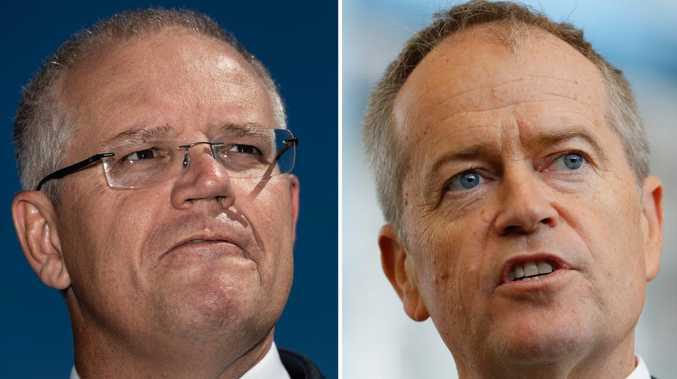 The information has been released with a call for all major parties and candidates in the July 2 election to spell out what they will do in the next Parliament to address the rising toll of suicide and self-harm across Australia. "What we see in electorates like Canning, Capricornia, Corangamite and Cunningham, is the impact of economic change. Issues like the loss of manufacturing, the downturn in the manufacturing, resources and construction, housing affordability and the high cost of education and retraining is hitting hard," speaking at the launch, Adj Professor and ConNetica Director, John Mendoza said. "Suicide and self-harm are now major public health problems in Australia that require a public health response. "What we can see is that there are many families and communities across Australia facing greater economic uncertainty and greater stress. "Suicide and self-harm are devastating families and communities. It is absolutely imperative then, that we get serious about tackling the rising toll of suicide and self-harm now." "What we see in these electorates is that every region is different and every region requires a regional response," Professor Ian Hickie AM, Co-Director of the Brain and Mind Centre, University of Sydney and National Mental Health Commissioner said. "Over the past seven years, under both Labor and the Coalition, we have seen the development of new regional structures for health and hospital care. "Eighteen months ago the National Mental Health Commission called for 12 large regional trials on suicide prevention as part of its aim to reduce suicide and suicide attempts by 50% over the next decade. "We are yet to hear a clear response from the major parties to this recommendation from the Commission. "Australians have a right to know what our political leaders will do about this. We are calling upon all the major parties to outline what they will do to address suicide if they are elected." "The call to action is accompanied by an Action Agenda for the 45th Parliament. Mr Mendoza added "We call upon every candidate in the House of Representatives and the Senate to spell out what they will do for their communities to tackle suicide and self-harm." "These structures provide us with a perfect opportunity to tackle suicide and self-harm at a regional level." Also at the launch were three parents who have lost adult children to suicide. "Suicide is a constant concern for parents with children suffering from depression," Cheryl Frank also from the Gold Coast said. "The belief that by instilling a certain degree of insight and mindfulness in my child to seek help rather than succumbing to another suicide attempt is what I held onto in order to allow him the freedom to live independently. "The experience of viewing my son's cry for help falling on the deaf ears of a system overwhelmed by cost cutting, staff shortages and indifference, broke my heart. I was lucky, I found my son dead on his bed, in time to be resuscitated." 1. Commit to the National Mental Health Commission's recommendation for twelve, large regional trials over three years to build understanding, evidence and capacity. 2. Develop a ten-year national strategy with clear targets and goals and fully funded annual action plans with all states and territories. 4. Establish regional suicide prevention centres, similar to centres for disease control, that can coordinate and tailor regional responses and put in place smart surveillance systems so we can respond when there is a sudden increase in suicides. 5. Ensure that every school has a comprehensive mental health program. Resilience training and quality mental health programs not only enable children and young people handle the challenges life presents, but enables them to do better academically. 6. Ensure that our healthcare workforce has the competency to work with vulnerable people in suicide prevention and crisis intervention. 7. Deliver a more effective system that provides the right care at the right time, that provides a continuity of care, that provides compassionate care. 8. Everyone that seeks care must be able to access care. No one should be turned away from an Emergency Department or health care service if they are experiencing a personal crisis or suicidal behaviour. 1. Suicide data is poor, limited and often unavailable. The official number ofsuicide deaths reported is generally some 20-30% below the actual number. 4. Suicide is the leading cause of death for both adult males and females aged 15-44 years and a major cause for males 45-54 years and over 75 years. 5. Between 8 and 10 Australians die by suicide everyday and there is an estimated 180 people who attempt suicide, with nearly half hospitalised. 6. In 2014, suicide accounted for 97,066 years of potential life lost - this is the highest of all causes of death and nearly 3.3 times the number of years of potential life lost to breast cancer. 8. HIV/AIDS received $2.9 billion in federal funding in 2013, and the death rate between 2003 and 2013 from AIDS fell 53.2 percent; the equivalent numbers for heart disease are $1.2 billion and 29.1 percent; for prostate cancer, the figures are $266 million and 13.7 percent. Suicide prevention received $37 million in 2013, and the death rate rose by 20.4 percent in the decade to 2013. 9. Intentional self-harm is the leading cause of death for those aged 10-24. Is this region really among the happiest in Australia?